The idea of Obedience Trials is to demonstrate the usefulness of the dog as the companion and guardian of man, and not the ability of the dog to acquire facility in the performance of mere tricks. The classification which has been adopted is progressive with the thought in mind that a dog which has been granted the title of OBEDIENCE CHAMPION has demonstrated its fitness for a place in our modern scheme of living. These titles are awarded after receiving three (3) qualifying scores of 170 or more points (75 in CCD) in Novice, Open, and Utility classes respectively, the scores being certified by judges. This title is awarded after having gained Utility Dog (U.D.) title, and thereafter gaining a further five (5) scores in the Utility Ring of 185 points or better, including having achieved first place with at least a qualifying score, three times under at least two different judges. 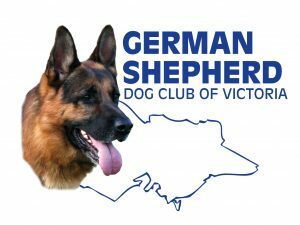 The GSDCV also runs Rally Obedience Trials. Rally-O involves following a course of signs utilising various obedience commands. Rally can be a lot of fun.